Leopard print is huge this fall season. It's obvious! You might have noticed it all over the runways, street styles and social media. 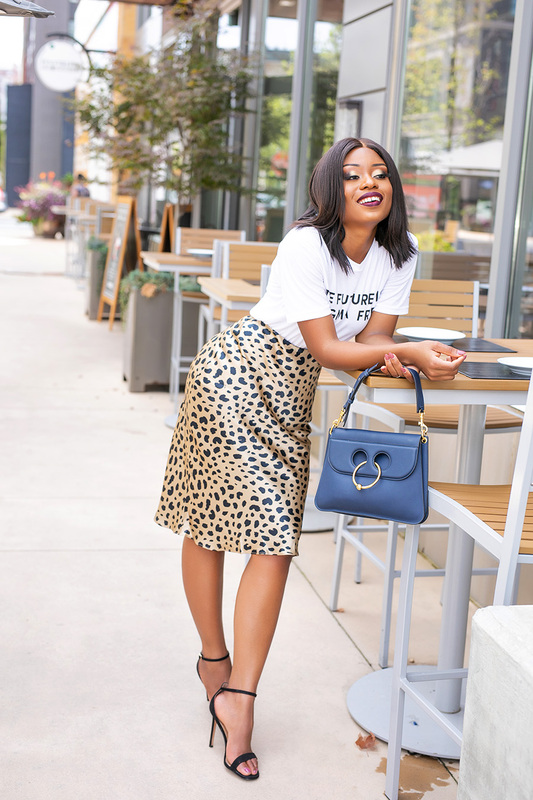 Leopard print is the new neutral for fall and this Realization Par leopard skirt is a must-have. 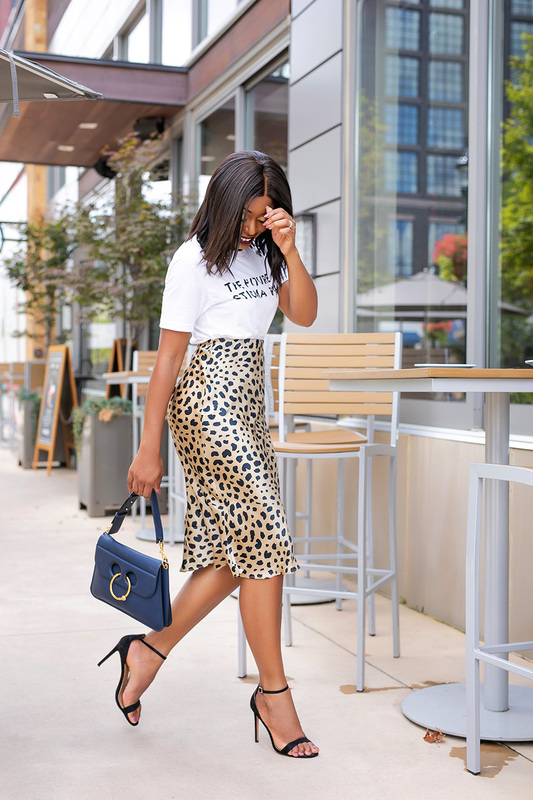 Leopard print skirt is emerging as the must-have item for fall and there are so many ways to style it. It might be scary for some of you, but it is very simple and versatile to style. There are simple way to styling leopard and animal print this fall. 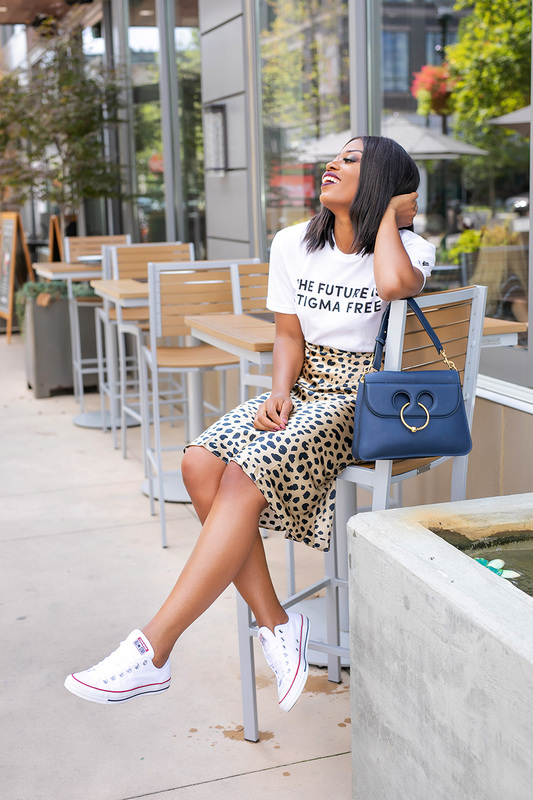 For a silk leopard print skirt, pair it with graphic tees or plain tees and sneakers as seen in this post for a casual look. You can also trade the sneakers for heels for work or work event. If you are not a fan of tees or white tee as seen in my post, you can also pair it with black. Pairing leopard print with black or solid colors (blouse or sweater) is a safe route. 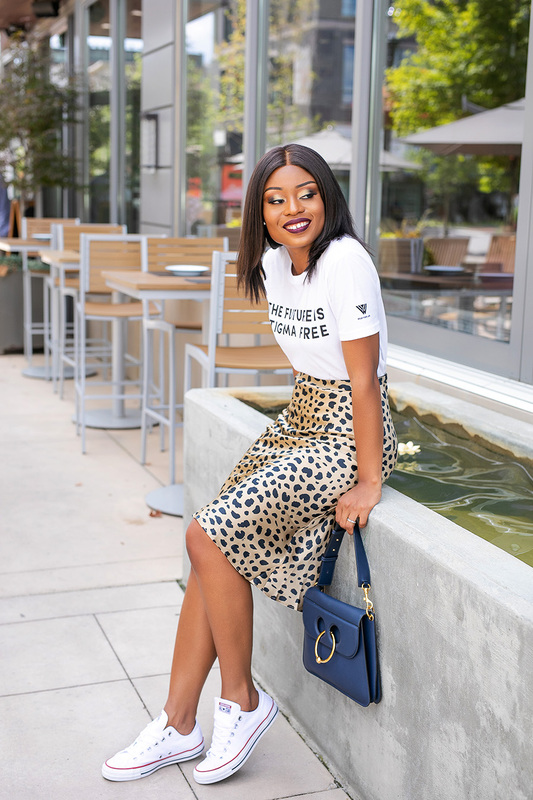 When it comes to pairing leopard or animal print, I will advise to keep the accessories simple and minimal...avoid clashing prints. Thanks for the outfits. Love your bag.